Leo and Nancy Grohowski, of Far Hills, New Jersey, have established a scholarship for students studying business at High Point University. The $100,000 gift supports the Grohowski Family Endowed Scholarship. The scholarship is available to undergraduate students in HPU’s Phillips School of Business majoring or minoring in finance or economics. It is awarded based on financial need and is renewable upon successful completion of the previous year's work. Netflix Co-Founder Marc Randolph, who serves asHigh Point University’s Entrepreneur in Residence, has established two full-tuition scholarships. The scholarships were presented on March 19 to two Philadelphia students. The scholarship recipients are Jardai Sharper and Iyinoluwa Afolayan Ogunyinka, both of whom attend Roxborough High School in Philadelphia. In addition to tuition, the scholarships also cover room and board, as well as books. The scholarships are awarded to students who demonstrate strong academic potential and financial need. 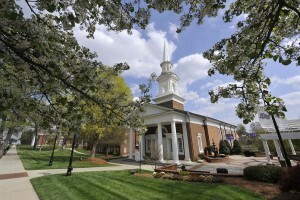 David Hayworth, a longtime friend and supporter of High Point University, has donated $500,000 through two family foundations for the renovation of the Charles E. Hayworth Sr. Memorial Chapel on campus. The chapel will receive a full remodeling with upgrades and enhancements to flooring, seating, painting, lighting and audio-visual improvements. The work will begin in May and is expected to be completed in September. 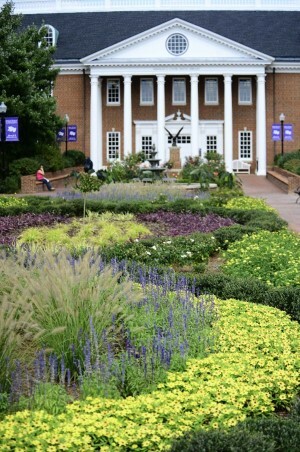 High Point University received a gift from the Minor family of the city of High Point and will rename the Infinity Garden outside of Roberts Hall in memory of Louise D. Minor, Bill Minor’s late wife. Louise Minor loved flowers, shrubs and gardens and had a gift for cultivation, floriculture and landscaping. Bill Minor also established the Louise D. and Bill L. Minor Endowed Scholarship fund and has given to the Mariana H. Qubein Arboretum and Botanical Gardens, the HPU Fund for Extraordinary Education and the Panther Club, in which Bill Minor has been a member of since 1976. 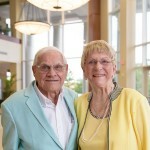 Dr. Harry “Frosty” and Catharine Wilson Culp, longtime residents of High Point and members of the High Point University family, have generously established a scholarship. High Point University Panther fans came out to cheer on the men’s basketball team on Jan. 9 and received an extra surprise. 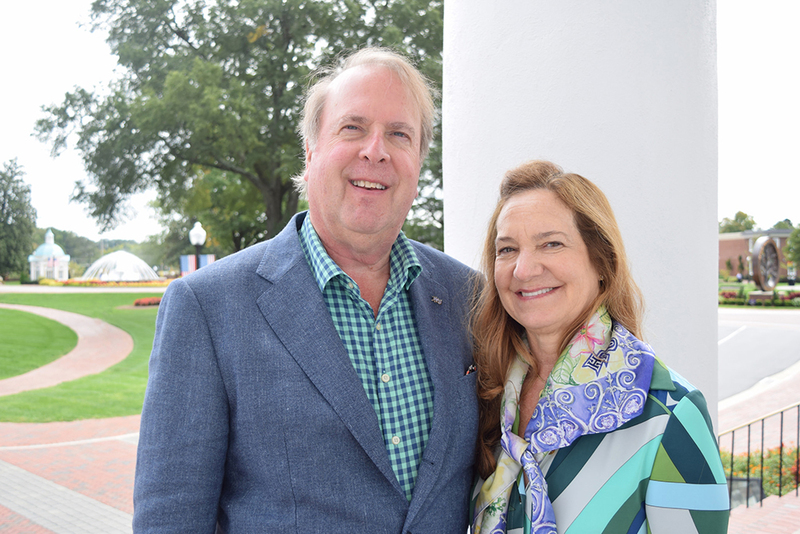 Barry and Marla Lazarus of Weston, Florida, have made a $250,000 commitment to High Point University and the new Caine Conservatory. The 15,000-square-foot facility is currently under construction and is expected to be completed in winter 2019. 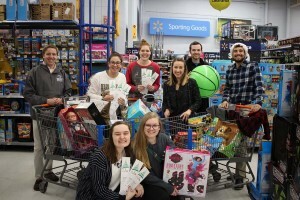 High Point Universitystudents acted as Santa’s little helpers on Dec. 7 when they purchased toys for children in need this Christmas season. HPU students raised more than $14,000 for the Salvation Army’s Angel Tree Program and shopped for toys, clothes and necessities for local families. HPU’s Hayworth Chapel Board of Stewards purchased gifts for 150 children from 70 families in the High Point community. Emily Millis-Hiatt, a resident of High Point and alumna of High Point University, has established an endowment for HPU’s Pro Bono Physical Therapy Clinic. 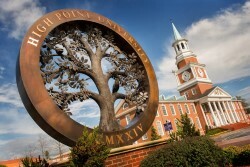 A High Point University family has generously made a $1 million endowment to sustain the study abroad programs at HPU. A High Point University family is making a major gift to create an endowment that will fund an annual award for staff members who go above and beyond in their service to the university. Kenneth and Jana Kahn of Palm Beach Gardens, Florida, are establishing the Kenneth F. and Jana S. Kahn Extraordinary Staff Award to honor two HPU employees who provide dedicated service to the campus community and live out the university’s mission to provide students with an extraordinary education in an inspiring environment with caring people. 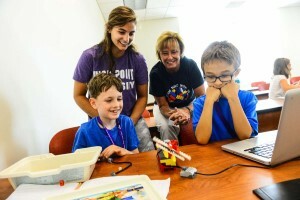 High Point University’s Stout School of Education is one of the recipients of a $4 million Teacher Quality Partnership federal grant awarded by the U.S. Department of Education. The partnership for PREPARE, or Piedmont-Triad Residency Educator Program, includes two other partners, Guilford County Schools and North Carolina A&T State University. The grant is designed to create a residency program to improve the number of quality teachers at highly impacted schools in Guilford County in the areas of Elementary Education STEM and Secondary Mathematics. “The HPU Board of Trustees unanimously voted to honor HPU President Nido Qubein and HPU First Lady Mariana Qubein by naming this facility in their honor,” said Bob Brown, vice chairman of the HPU Board of Trustees, during the ceremony. 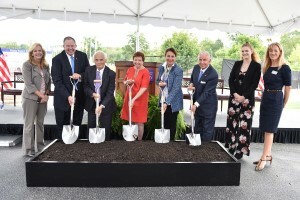 High Point University broke ground on the 15,000-square-foot Caine Conservatory today during a special ceremony with community members. The facility is named after a long-time Triad family, Don and Teresa Caine, who generously gave a major gift in support of the new conservatory. A long-time High Point family has generously made a seven-figure gift, bringing their lifetime giving to the university to more than $2 million. Peter Mahler, founder of Triad-based PAM Trading Corporation, and his wife, Mary, made the gift along with their daughter Punkin Parker, her husband, Alan, and son Alan A., as well as their daughter Janet Fisher and her husband, Wayne. 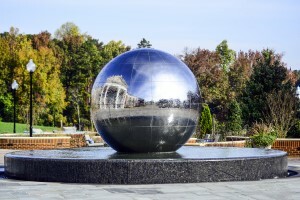 The gift recognizes the university’s impact on the city of High Point. The Mahlers started PAM Trading Co. in 1983 as a textile business, but have since added injection molding. Peter has also engineered several pieces of hosiery equipment and has U.S. patents as well as foreign patents. The Mahlers’ daughters and husbands, as well as their grandson, now run the family business. Dawn and Norm Miller, from The Woodlands, Texas, are making a philanthropic investment at High Point University after their daughter’s meaningful experience as a student. 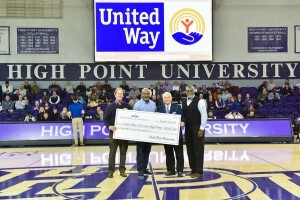 Norm Miller, CEO and Chairman of Conn’s, Inc., and wife, Dawn, have generously contributed $2 million to support HPU. 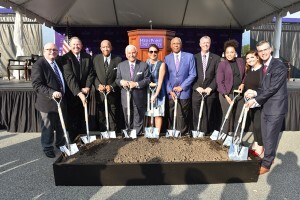 High Point University will establish the new Webb School of Engineering as the university’s transformational growth plan continues. The founding dean, Dr. Michael Oudshoorn, has been hired to lead the school, in which students can now enroll and major in computer science with three concentrations within the degree: cyber-security, software and systems, and visual computing. High Point University will welcome more than 1,500 new students, the largest number of new students in university history, as well as 5,200 total students, the university’s largest total enrollment, when classes begin on Aug. 21. The university is also launching new academic programs and making progress on major construction projects. Updates are provided below. Brittany Vose, ’17, once wore a Greek-lettered T-shirt and backpack filled with books as she hurried across High Point University’s campus to class. She blended in, like most students, on a college campus. On paper, she was a star: a Dean’s List student at High Point University, double major in psychology and Spanish, Bonner Leader and philanthropy chair for her Alpha Gamma Delta sorority. But inside, there’s more. She holds an accomplishment most have never achieved – she’s raised almost half a million dollars for pancreatic cancer research. And she’s built some incredible partnerships to help make that happen. On June 24 during the PGA Traveler’s Championship in her hometown of Cromwell, Connecticut, Vose expects to hit the $500,000 in funds raised during the Cure Pancreatic Cancer Walk she began organizing when she was just 13 years old. This year marks the ninth consecutive year she’s organized the walk. The Broyhill Family Foundation of Lenoir, led by Chairman Paul Broyhill, has established a scholarship at High Point University for students in the School of Art and Design. The $135,000 gift supports the Broyhill Family Foundation Endowed Scholarship, originally established in 2016, making it one of the university’s largest endowed scholarships to date. The scholarship, awarded to students pursuing both a major within the School of Art and Design and a minor in the Phillips School of Business, was created to encourage future designers to gain an understanding of basic business principles and management. Local business owners and High Point University alumni David and Amy Smith are investing $600,000 into HPU’s continuous growth. 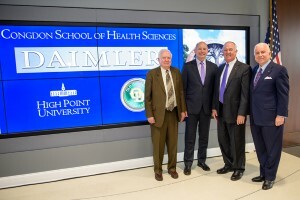 Daimler Trucks North America (DTNA), parent company of High Point’s Thomas Built Buses, is supporting High Point University’s Congdon Hall and Congdon School of Health Sciences with a $1 million donation. 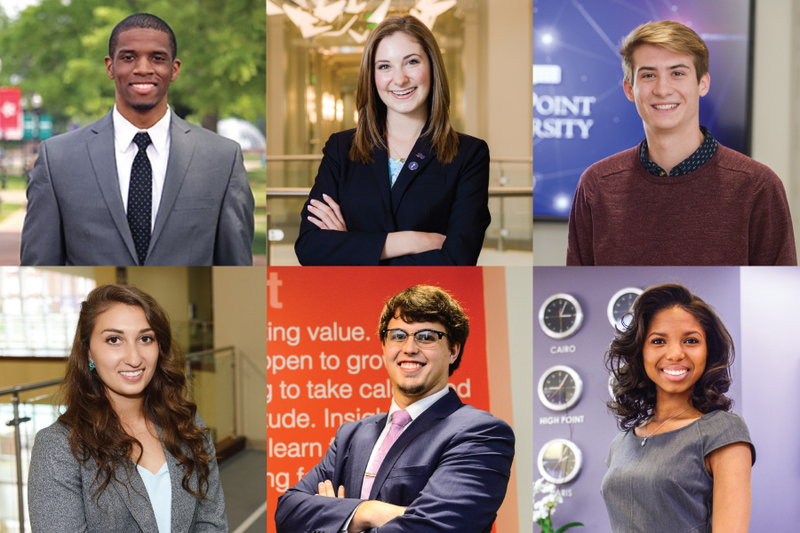 Six families are investing a total of $425,000 in High Point University’s mission to educate the hearts and minds of students. These families have established endowed scholarship funds and made gifts that support HPU’s continuous campus transformation. 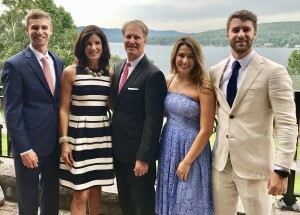 Mike and Eileen Sapraicone of Upper Brookville, New York, have given $100,000 to establish a new High Point University scholarship fund. The Sapraicone Family Endowed Scholarship will support students wishing to attend HPU. The Sapraicones have previously contributed more than $50,000 in annual scholarships, which have been presented to HPU students. Eileen Sapraicone is a New York State Family Court Judge. Mike Sapraicone is founder and owner of Squad Security, a global security company. A High Point University family has endowed a new scholarship to support students. The Daniel H. Herbert, Sr. Family Endowed Scholarship was established by Christine Yackman, who, along with her daughter, Denise Pittenger, and son, Daniel Yackman, wish to support and encourage students who demonstrate financial need. The scholarship can be renewed for four years. Christine Yackman is the mother of a current student at HPU and resides in Monmouth Junction, New Jersey. When Barbara Callicutt arrived for a luncheon at High Point University, she had no idea the event was for her. 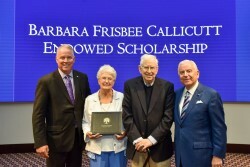 In fact, her son, Richard D. Callicutt, a 1980 HPU graduate, helped orchestrate the lunch as a ruse to surprise his mother with a special announcement: With a $300,000 pledge, he established The Barbara Frisbee Callicutt Endowed Scholarship in honor of his mother, a 1965 HPU graduate. Barbara Callicutt, a Thomasville, North Carolina, native who received her degree in elementary education from HPU, had a distinguished career in the Davidson County School System. 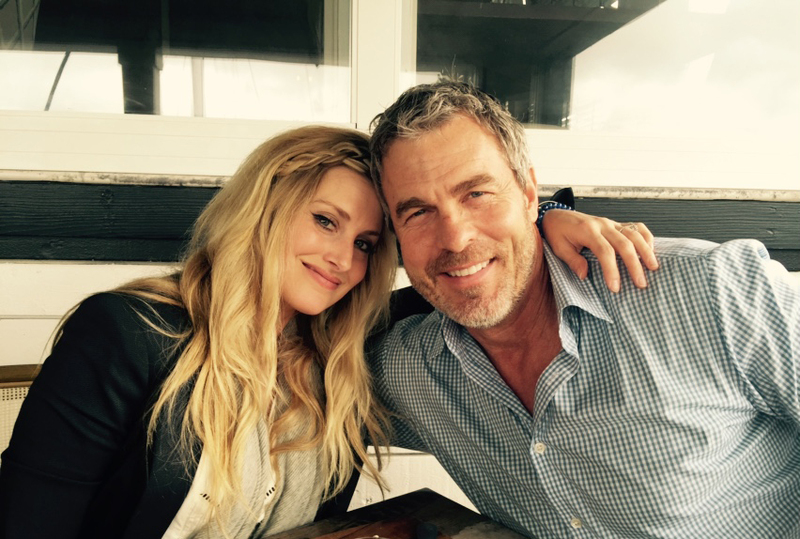 She is married to Doug Callicutt and has four children, seven grandchildren and nine great grandchildren. 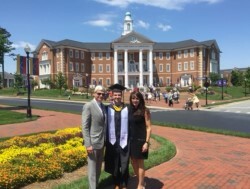 Her son, Rick Callicutt, a member of the HPU Board of Trustees, has hopes of supporting future students while honoring his mother. 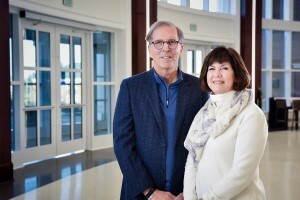 Bob and Lynda Engel, of Castle Rock, Colorado, made a six-figure gift to support High Point University’s continued growth. Pictured from left to right are Bob, Tyler and Lynda Engel. Bob Engel was president and CEO of CoBank, a $128 billion national bank serving vital industries across rural America, before retiring in 2017. 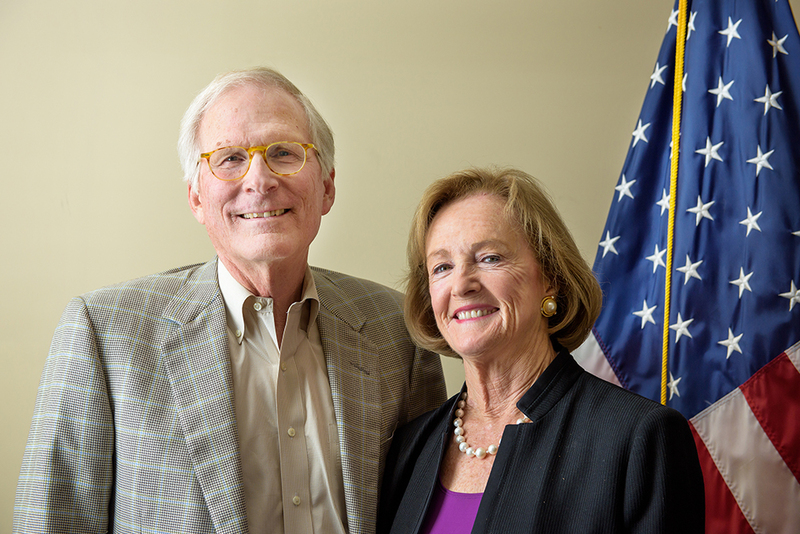 Bob and Lynda are involved in the Denver community in both philanthropic and business ventures with a focus on education. Bob is the chairman of the Board of Trustees at Regis University and also serves Niagara University as a trustee. 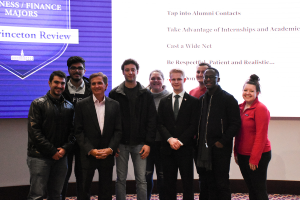 During his career as a businessman, Bob developed a relationship with HPU President Nido Qubein, and the Engel family came to strongly believe in HPU’s mission and approach to education. 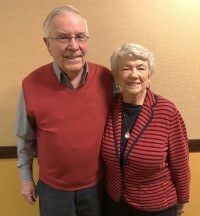 Charles “Charlie” and Mildred “Millie” Maultsby have established a scholarship with a $50,000 gift to further the success of students. The Charles V. and Mildred P. Maultsby Endowed Scholarship will support students who demonstrate financial need and can be renewed annually. First preference will be given to students from the Piedmont Triad. Charlie and Millie first met as children at the Methodist Home for Children in Raleigh. They grew up in the home and became teenage sweethearts. 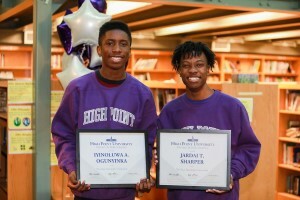 Both went on to attend High Point College with the support of scholarships. A High Point University family hopes to perpetuate their values of patriotism and service to the country by establishing The Sheriff Family Veterans Awareness Endowment, a $250,000 gift that will support the annual Veterans Day Celebration at HPU. Established by Alan and Karen Sheriff, of Newtown, Pennsylvania, the gift will provide resources to support HPU’s Veterans Day Celebration, which has grown to more than 1,200 attendees each year, as well as other patriotic activities on campus and in the community. The Sheriffs were greatly inspired by the HPU Veterans Day Celebrations and hold military service close to their hearts. Their son, HPU sophomore Daniel J. Sheriff, serves in the United States Marine Corps; another of the Sheriffs’ four sons is a veteran of the USMC. The gift will support the future Culp Planetarium on HPU’s campus. High Point University received a $1 million philanthropic gift from Rob and Susan Culp and their family for the future planetarium on the High Point University campus. Rob serves as executive chairman of Culp, Inc. and treasurer of the HPU Board of Trustees, while his wife, Susan, serves on the Board of Visitors at HPU and is also a member of the Board of Directors at UNC Health Care. Rob and Susan say they feel privileged to support this effort. 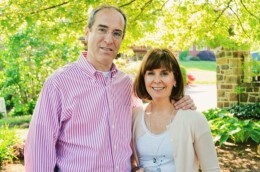 Their family embodies the same entrepreneurial spirit embraced on the High Point University campus. 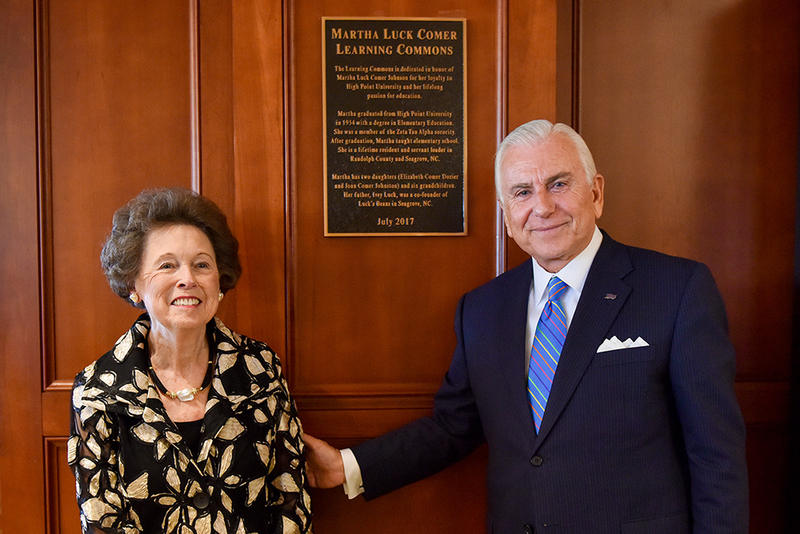 The Martha Luck Comer Learning Commons was named in her honor during a dedication ceremony on Oct. 5. A High Point University alumna has made a substantial gift in support of education at her alma mater. Martha Luck Comer Johnson, who graduated in 1954, received her bachelor’s degree in elementary education, was a member of the Zeta Tau Alpha sorority and had an impactful teaching career with Moore and Randolph County Schools. She is a lifelong resident and community leader in Randolph County. To honor the positive impact she’s had on campus and in the Triad, HPU officially named the Martha Luck Comer Learning Commons during a ceremony on Oct. 5. The Martha Luck Comer Learning Commons is a library located in the heart of campus inside the Wanek Center. It provides students with large study spaces, individual desks for quiet study, computers, printers and a collection of reference material. David and Christine Cottrell, parents of a High Point University graduate, have now contributed $5.5 million with their most recent commitment of $1.5 million to support an outdoor amphitheater. The amphitheater seats 1,000 people and hosts several annual events, including major community events such as the Arbor Day Celebration, the High Point Arts Council Concert and performances by the North Carolina Brass Band. It’s located behind Cottrell Hall, which the family supported with a $4 million lead gift when the facility opened in 2015. Cottrell Hall cost $26 million and was funded entirely by gifts from parents of current students from eight different states. Cottrell Hall houses all of the university’s experiential learning components under one roof, including Career and Professional Development, Internship Services, Undergraduate Research and Creative Works, the Freshman Success Program, the Sales Center, the Entrepreneurship Center and more. 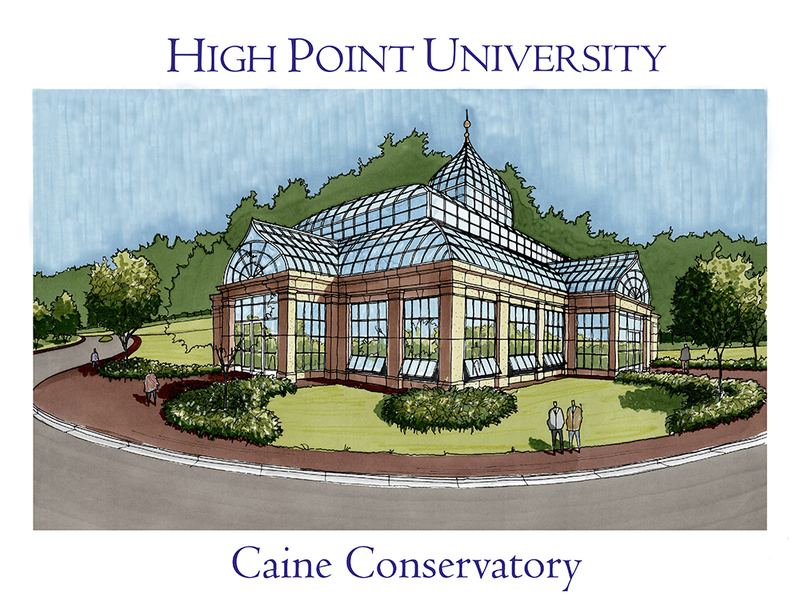 Don and Teresa Caine, owners of Greensboro-based Camco Manufacturing, have generously given a major gift in support of a new Conservatory at High Point University. It will be located near a new undergraduate sciences facility that’s part of a major expansion. The conservatory will provide space for students and faculty to conduct botanical research and propagate plants for the Mariana H. Qubein Arboretum and Gardens. A classroom, working greenhouse, new eatery and planting display space for the community at large will be housed in the facility. Don Caine graduated from HPU in 1965. A year later, he and Teresa began Camco Manufacturing with one product. Today, Camco has more than 1,200 employees, 3,000 products and multiple manufacturing facilities in the United States and around the world. Camco has also been named to the North Carolina Top 100 by Business North Carolina for six consecutive years. 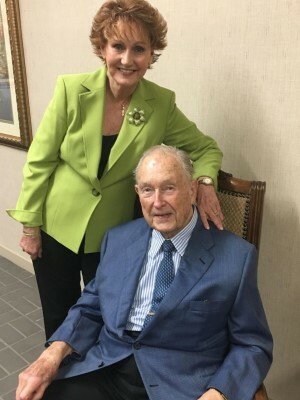 Robert “Bob” and Maggie Stout of Greensboro are supporting High Point University’s School of Education with a multi-million dollar gift. 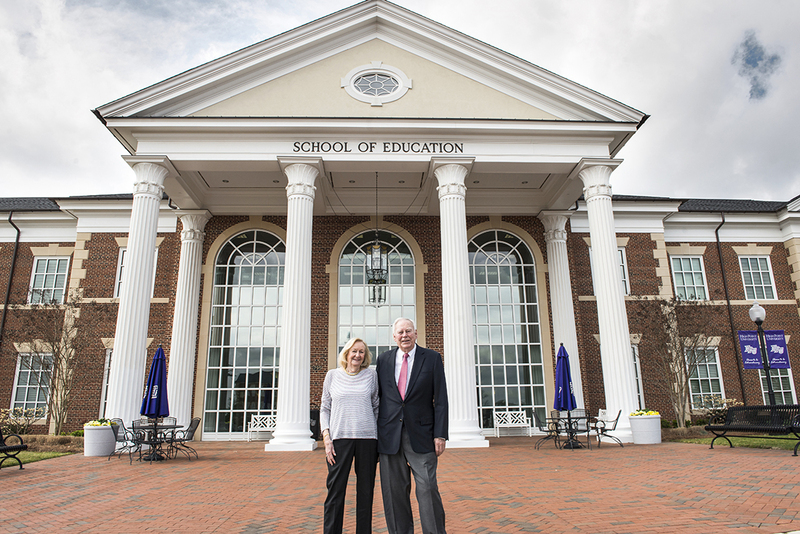 The Stouts, longtime business, civic and city leaders in the Piedmont Triad, have donated $5 million to HPU. Bob Stout is a lifetime High Point University Board of Trustee who retired from Steel Bar Corp. in Greensboro. He served as chairman for Goodwill Industries, the Greater Greensboro Open (now the Wyndham Championship on the PGA Tour) and a number of other groups in the Triad. He graduated from the University of Tennessee, where he played football, and served in the U.S. Air Force. Maggie Stout grew up in Kernersville and worked as a medical secretary. Her mother was a first grade teacher at Forsyth Country Day School. The Stouts have a strong history of supporting HPU and have previously established a scholarship for business. They are also strong supporters of several nonprofit organizations, including the United Way of Greater Greensboro. They are members of Sedgefield Presbyterian Church. In recognition of the family’s commitment to their community, HPU will name the School of Education in their honor. High Point University has reached a milestone in fundraising over the last decade. HPU has now received more than $300 million in gifts since 2005 thanks the generosity of parents, alumni and advocates who gave several million in 2016, as well as a new gift from one of the university’s most recognized alumni couples. 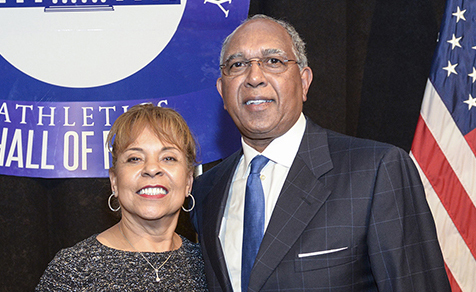 University of Memphis head men’s basketball coach Orlando “Tubby” Smith and his wife, Donna Smith, are donating $1 million to support HPU’s new Nido and Mariana Qubein Arena and Conference Center. 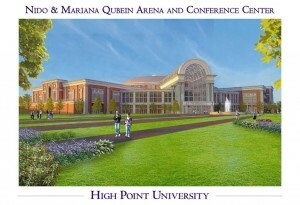 The arena will become the home of HPU’s men’s and women’s basketball programs, and the basketball court will be named in honor of the Smiths. The Qubein Arena and Conference Center will also serve as a venue for major events, speakers, concerts, entertainment and other large gatherings and recreational activities. It will seat 4,500 spectators and include suites, locker rooms, staff offices, concession stands, a merchandising area, media suite, film room, press conference room, weight room, athletic training room, hospitality area, high tech audio and video equipment, ticket office and practice gym. gift from BNC Bank to support Congdon Hall, which will house the Fred Wilson School of Pharmacy and the Congdon School of Health Sciences. BNC is headquartered in High Point and was founded in 1991 by a group of dedicated local leaders. Today, BNC boasts $7.5 billion in assets, and is one of the most profitable and fastest-growing banks in the Southeast with branches in North Carolina, South Carolina and Virginia. 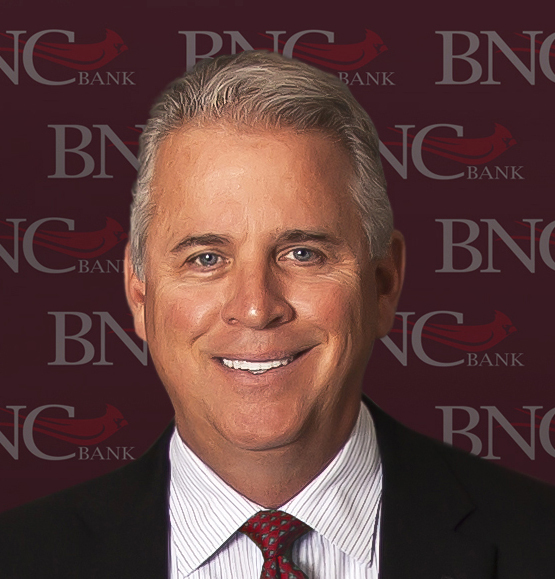 Rick Callicutt, a 1980 HPU graduate and High Point native, is the president and CEO of both BNC and its parent company, BNC Bancorp. He received his business administration degree from HPU and began his banking career four days after he graduated. 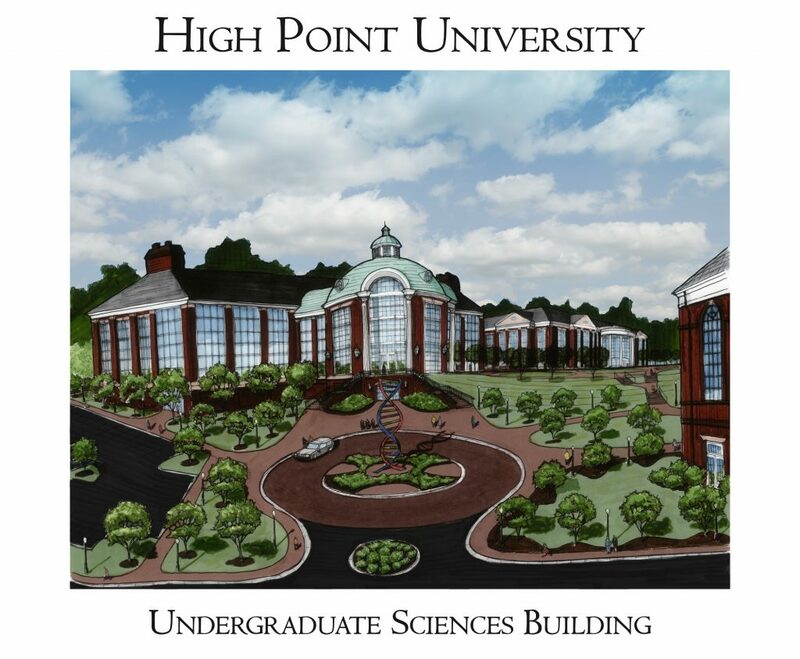 High Point University has received a $10 million gift from an anonymous donor that will support a new undergraduate sciences school and building. Construction on the facility will begin in summer 2017. At $60 million, the undergraduate sciences facility will accommodate growth in majors including biology, chemistry and physics. A dean will be hired to facilitate the expanding sciences held within the new school. The building will also house a state-of-the-art planetarium and will include an adjoining conservatory. 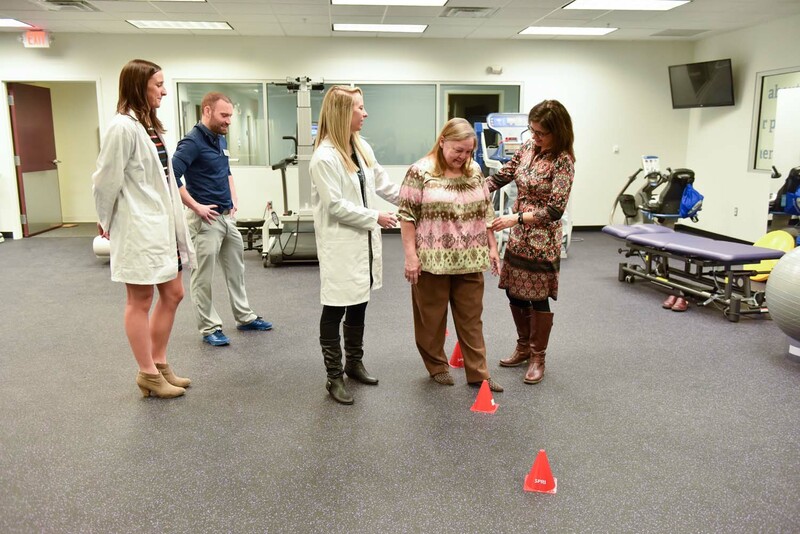 These programs complement HPU’s new graduate programs in physician assistant studies, pharmacy and physical therapy. 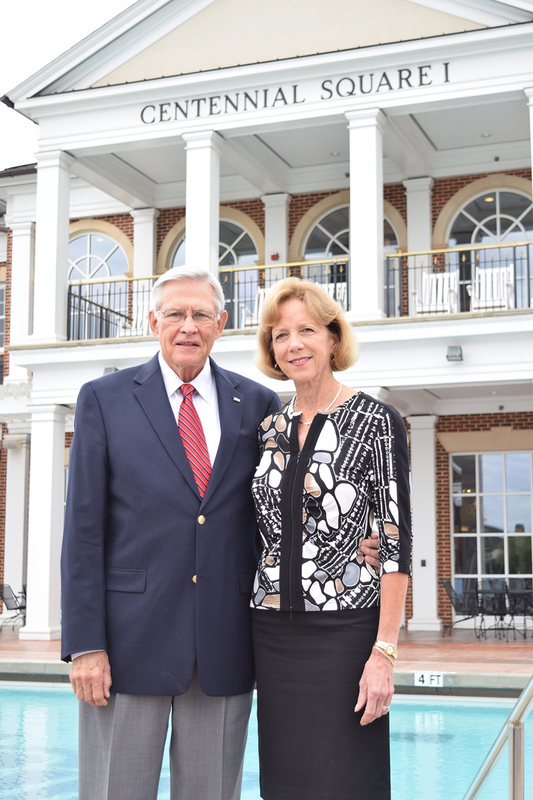 A couple with roots in High Point is generously giving $3 million to High Point University. 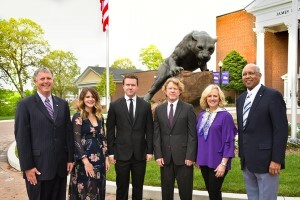 David Couch, CEO of The Blue Ridge Companies Inc., and his wife Stephanie Quayle, an accomplished singer and songwriter, made the gift to HPU in recognition of the university’s leadership and positive impact in the city of High Point. Couch worked closely with project development teams at The Blue Ridge Companies Inc., based in High Point, to develop an extensive portfolio of commercial and multi-family properties. Prior to forming Blue Ridge, Couch was co-owner of a commercial real estate brokerage firm in High Point. 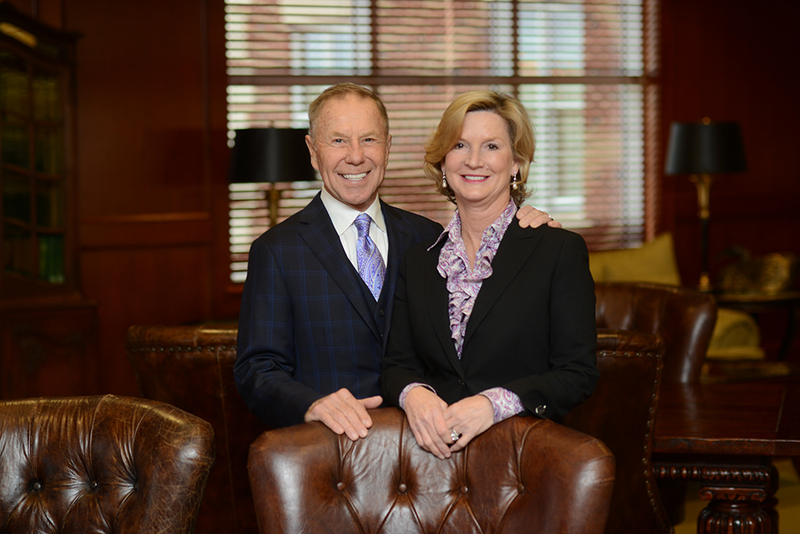 High Point University has received a major gift from Dr. Michael and Susan Samuel. 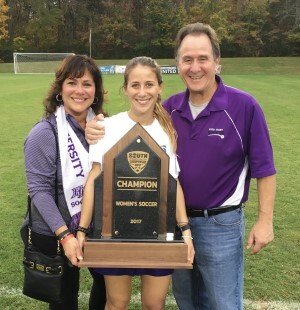 The Samuels are longtime residents of High Point who believe the success of HPU contributes to the success of their community. Dr. Samuel, a native of High Point, established a successful dental practice in High Point in 1966 and just completed 50 years serving the community. The practice is owned and operated today by one of his sons. He also serves on the university’s Board of Visitors. Susan Samuel led an accomplished business career and now serves as a community volunteer and advocate. She is a past president of the Junior League and serves on the Open Door Ministries of High Point Advisory Board. Both have served in leadership positions in their church, Wesley Memorial United Methodist. The Samuels have two sons and four grandchildren living in the Triad. A High Point University family is endowing a scholarship fund to give future students the opportunity to receive a college education. Harold and Kate Reed of North Palm Beach, Florida, are donating $500,000 to establish the scholarship fund. The Reeds have a long history of involvement in education that dates back generations. They also have a student at HPU. 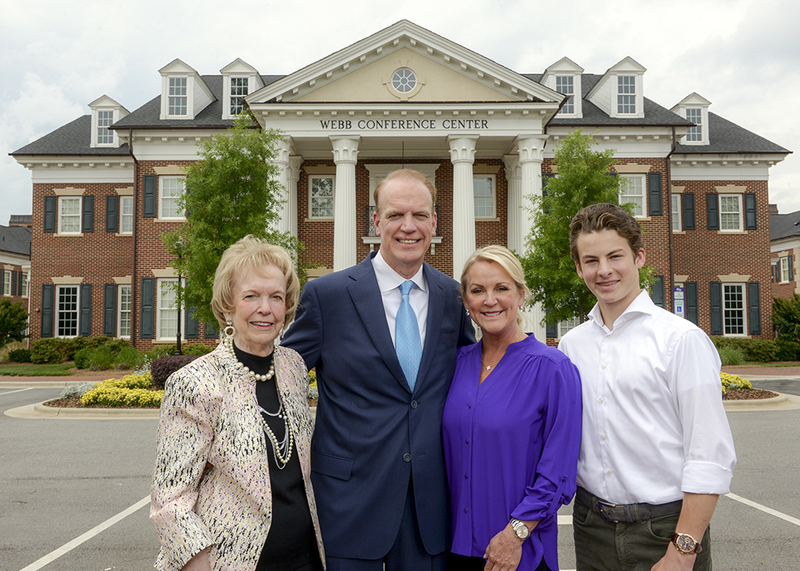 Mark and Jerri Webb have contributed a major gift to High Point University in honor of Mark’s late father, Lewis Andrew Webb, mother Janice Webb, and their entire family. Mark is a 1983 alumnus and native of High Point. He owns and operates Interstate Foam and Supply, Inc. in Conover, N.C., where the company employees more than 300 associates. IFS was founded by Lewis in 1981, with Mark joining in 1984, and has since grown to become a major fabricator and distributor of quality seating and polyurethane foam components. Mark and Jerri live in Charlotte with their son, Connor. Their contribution underscores the importance of alumni giving as graduates from across the decades continue to make philanthropic investments in HPU and visit campus frequently.